Mrs. Roosevelt was a tireless worker for causes she was passionate about and shrewd enough to accomplish things most could not. This is her preferred living space, a home created in an old factory on the property where she could live in the splendor of an amazing mansion on the Hudson. 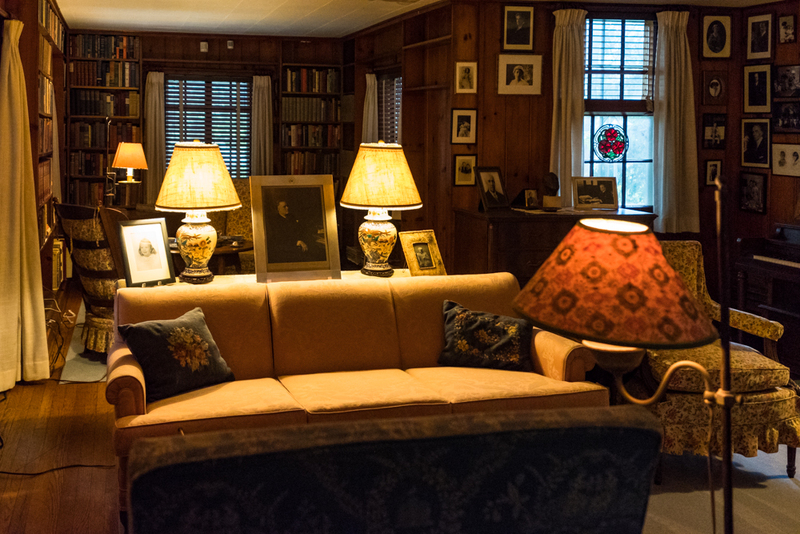 In this room on the two chairs barely seen behind the sofa, having tea, you could in 1960 see Mrs. R and JFK meeting for several hours as he sought her endorsement for the presidency, he needed her blessing. She withheld it until he agreed to champion civil rights. Because she won, America won.